This TV bed is like no other. The traditional bed frame combined with modern technology. This is definitely a luxury bed. You can stay in this bed all day and night and never be bored. You will never be bored because you can actually put your TV into your bed; you can put it right into the foot of the bed. 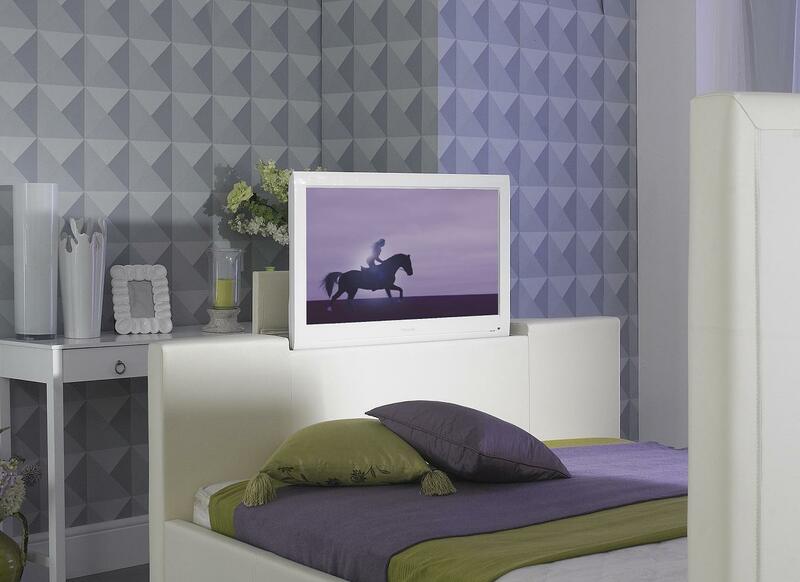 Even better the TV can be conveniently housed in the foot of the bed frame, ready to be raised using the handy remote control or push button feature conveniently placed on the side rails. 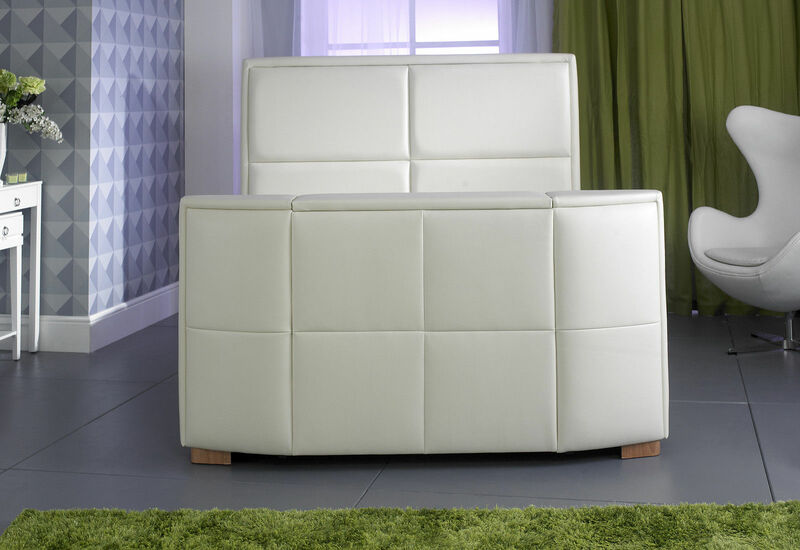 The bed frame is finished in Bonded Leather with a matt finish and the legs are made of the highest quality fir wood. The bed provides a modern feel with its panelled headboard and is the ultimate in luxury and comfort. 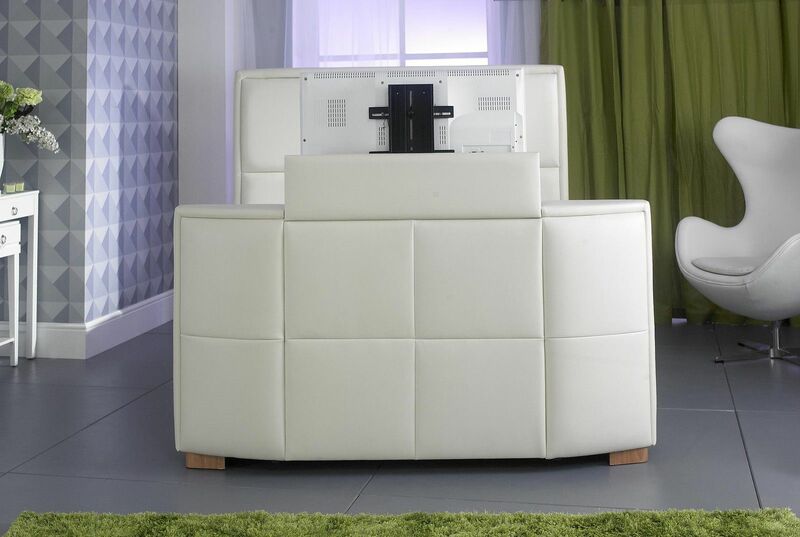 This fantastic TV Bed is available in – Brown, Black, Ivory and White.